Let’s cut right to the chase. This position was a mess in 2018. 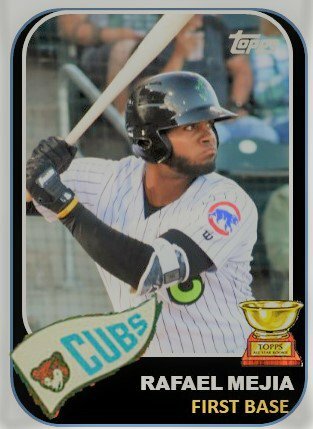 Outside of Jared Young, the Cubs saw little production across the board in the upper parts of the system. If you look back at who was ranked a year ago in the series, two of them are actually out of baseball, another one struggled with injuries, a fourth actually wound up a level lower at the end of this year than where he ended last year. And the fifth one just did not produce at all. Not. At. All. Heading into 2019, the position is still hopeful. 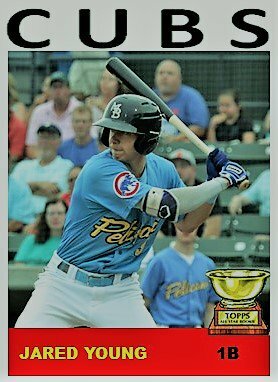 Young, the Cubs MiLB Player of the Year, tops the 1B list. Meanwhile, for the first time since 2012, the Cubs actually drafted a first baseman in Tyler Durna from UC San Diego. Injuries limited his playing time but he should be good to go to start 2019. As spring gets closer, two other players that produced in the lower parts of the system and short season ball should be at either South Bend and/or Myrtle Beach and could be impact bats at the position. However, success in Mesa and/or Eugene doesn’t guarantee success in full season baseball. Bouncing Back – Coming in at number four is Tyler Alamo. He had a bit of a rough year at Myrtle Beach as he struggled through minor injuries. Considering what he went through in the off-season at the Las Vegas shooting, I am always going to pull for him to make it. You never know what can happen but he will be at AA Tennessee to start next year. Hopefully, he can get his power/average game going that he had in 2017. Does He Play 1B, Too? – Next at number three, Grant Fennell played a little outfield, a little third-base, and 1B at Eugene in 2018. As a non-drafted free agent, Fennell displayed a solid approach last year as he went .305/.362/.487 between Mesa and Eugene with 5 HRs in 61 games. To hit 21 2Bs in your debut year speaks to his potential for power. He will probably be at South Bend to begin 2019. Just how much he can hit and the amount of power he has is still up in the air. Just Give Him a Chance – Rafael Mejia was only at Eugene a week before he was sent down to Mesa to make room for some college draft picks. I liked what Mejia could do with a bat at Eugene, I was just surprised he was pushed aside so quickly. It didn’t stop him though. He went down to Mesa and left no doubt about his skills with eight home runs in 38 games to get him the number three spot. I’d like to see him at South Bend this year but it probably won’t come until May. I doubt if he goes back to Eugene. Wonder If He Stays at 1B? 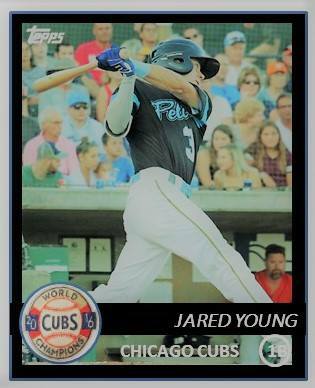 – Jared Young’s high average combined with 17 home runs and his OBP pushing .400 earned him the top position. Young displayed a sweet swing. He was originally drafted as a second baseman but moved over to first this year and displayed an outstanding glove there as well. He will be at Tennessee to start 2019 and could see more time in the outfield than at first. I’m excited to see how he does against pitchers that are around the plate a bit more. Young might be one of those guys who improves as he plays against better players. Sleeper – I don’t really have one picked out yet, considering the lack of depth. You never know, though. A sleeper could pop up anywhere. My bet is that he pops in the second half rather than the first as he will likely be playing short season ball. Then again, Luke Reynolds could find himself entrenched at first instead of third all season long.